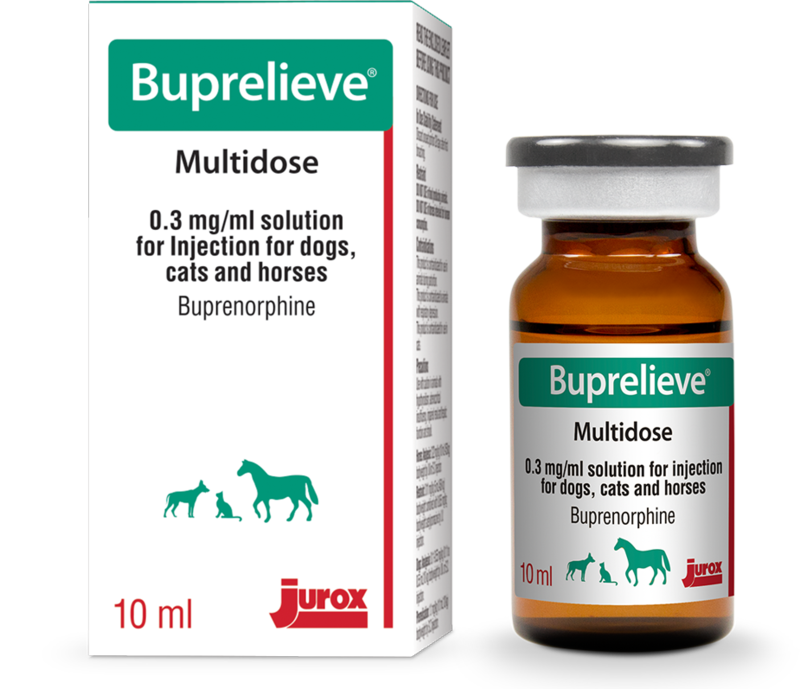 Buprelieve is used in practice for its potentiation of sedation in dogs and horses, and postoperative analgesic effects in dogs, cats and horses. Post-operative analgesia in the dog and cat via intramuscular or intravenous injection. Post-operative analgesia in the horse via intravenous injection only. When used in horses for potentiation of sedation, an intravenous sedative should be administered within five minutes prior to injection of buprenorphine. Signs of sedation normally appear by 15 minutes post injection. To ensure analgesia is present during surgery and immediately on recovery, administer at least 30 minutes pre-operatively via intramuscular or intravenous injection. Dogs: for further pain relief, repeat if necessary after 3-4 hours with 10 micrograms per kg or 5-6 hours with 20 micrograms per kg. Cats: Repeat if necessary, once, after 1-2 hours. In horses, an IV sedative should be administered within 5 minutes prior to injection of Buprelieve.